Harry's bowl got broken in an accident last night. He has had that same bowl since he was a puppy. 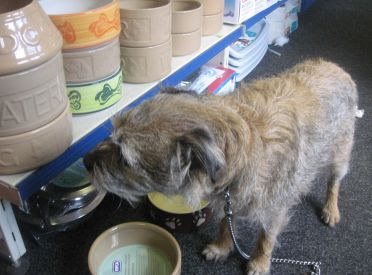 Today I took Harry to our local pet shop to look at new bowls. There were a wide range, but in the end he got a brown one - like the old one.